The gift-card will be personalized and there is room for a personal message. 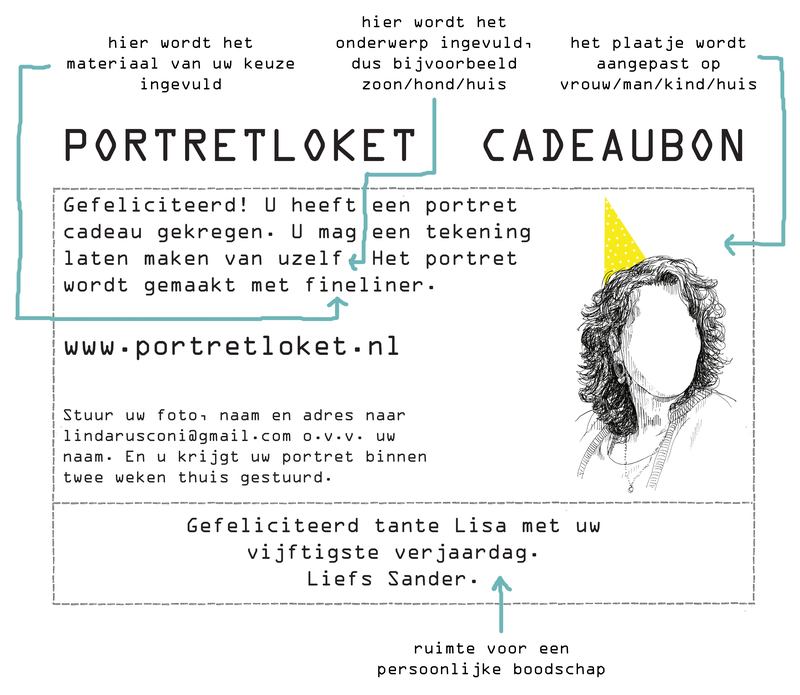 Ordering a gift-card: mail to lindarusconi@gmail.com what kind of portrait you want to give (size/material) and to whom. I will send you an invoice. U pay the ammount to NL95 INGB0005219529 t.n.v. Linda Rusconi. When the payment is done I will email you the giftcard you can print yourself. But I can also send it in a festive package. Make sure to let me know the personal message and where and when to send the card.